A coffee cake is generally a single layer cake that contains cinnamon, fruit and nuts. A coffee cake does not actually contain coffee; it's so-named because you typically serve it with coffee. This nutritional information applies to a square coffee cake measuring 8 in. on a side. The serving size is 1/12 of the entire coffee cake. A serving of coffee cake contains 137 calories, which is about 7 percent of the daily value for calories. This daily value assumes a daily diet of 2,000 calories, according to Fatsecret. The calorie content in a serving of coffee cake contains 88 calories from carbohydrates, 39 calories from fat and 10 calories from protein. The carbohydrate content in a serving of coffee cake is 21.94 g, which is about 7 percent of the daily value for carbohydrates. It also provides 4.32 g of fat, or about 7 percent of the daily value for fat. The protein content in a serving of coffee cake is 2.54 g, which is about 10 percent of the daily value for protein. Coffee cake contains 181 mg sodium per serving, which is about 8 percent of the daily value for sodium. 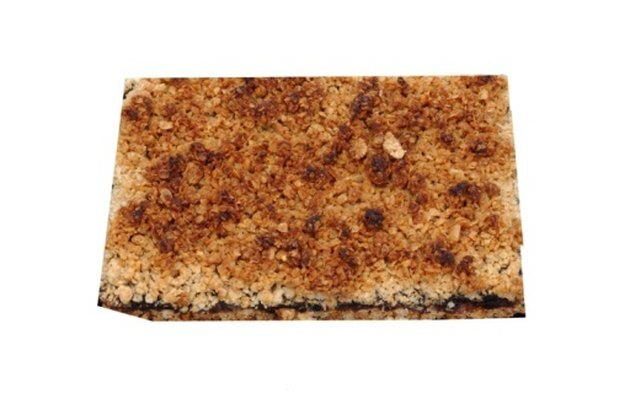 A serving of coffee cake also has 5 percent of the daily value for calcium and 4 percent of the daily value for iron.